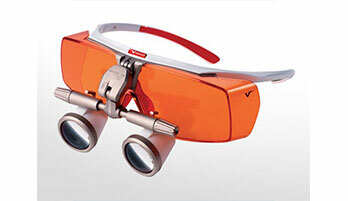 Extreme offers loupes with light and with a modern and clean cut design. Loupes are accessible to everyone. Easy to use with predefined interpupillary distances that can be selected according to your needs, they maintain all the advantages, comfort and optical characteristics of TTL devices. They are a perfect tool for beginners who can train their eyes with basic magnifications. For detailed information please click here or visit loupes.univet.it.